A French-Caribbean national, Daphné Joseph-Gabriel was born and raised in The Hague, The Netherlands, where she attended the British Schooling System. She also lived in Bonn, Germany. Passionate about Sustainable Development, Corporate Social Responsibility, and impactful innovative business solutions, through her diverse experiences around the Globe she has acquired robust Cross-Cultural Communication skills, sharp Analysis capacities & a diligent Diplomatic mind. She currently works in Public Affairs, Strategic Communications and Advocacy in Paris. •//• In December 2017 Daphné joined the GoodPlanet Foundation (goodplanet.org ; @goodplanet_) - aligning her skills and expertise with her core interests in Sustainable Development, and the need to build more resilient societies respectful of its Peoples and the Planet. GoodPlanet was created by Yann Arthus-Bertrand, renowned photojournalist, with the aim of raising public awareness on environmental issues and environmental protection. The GoodPlanet Foundation encourages a way of life that is more respectful of the Earth and its inhabitants. •//• Previously she worked for the U.S. State Department as a Digital Diplomacy Strategist within the U.S. Embassy in France, and worked on economic issues at the Edmond de Rothschild Bank in Paris. •//• She served as a Fellow at the U.S. House of Representatives in Washington DC (2015 HIA-Lantos Congressional Fellowship). In 2014, she took part in the inaugural HIA Diversity and Diplomacy Fellowship, representing France. •//• Daphné interned for various international organizations from the European Space Agency, to a European Sustainable Urban Development program (URBACT), to the European External Action Service (EU Commission), and the U.S. Embassy in Paris. She also volunteered as a social worker in an orphanage and primary school in Ouagadougou, Burkina Faso, where she gained valuable on-sight experience of a developing Sub-Saharan African country. •//• She holds a Master of Science (MSc) in Business Management from EMLYON Business School (2014), with a specialization in Economics, Corporate Strategy, and Corporate Social Responsibility. Her thesis focused on conflict minerals (e.g. Coltan) in the digital age, fragile states, and the roles of multinational corporations. 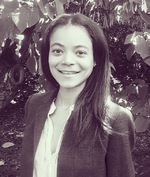 Daphné also obtained an MA in International Relations & Strategy with l'Institut des Relations Internationales et Stratégiques, Paris (2015), - her research focused on President Obama's climate change policies. •//• Daphne volunteers as an Editor for EarthSpark International (earthsparkinternational.org), a green energy non-profit operating in Haïti. •//• Beyond work, she is a runner, a choir singer, a dancer, ex-gymnast, ex- field hockey player... and most of all, a profound lover of Nature, Philosophy, Science, the Arts, Culture, & Humanities of the World ! All with a touch of Humour !